Our projects include creating and producing the Emmy & Prix Jeunesse-nominated Jack’s Big Music Show for Nick Jr, the Emmy-nominated Bunnytown for Disney and Nick Jr.’s Parent’s Choice Award-winning Curious Buddies brand of home videos. Spiffy Pictures recently produced a puppet adaptation of Scooby Doo for Warner Brothers, titled Scooby-Doo! Adventures, The Mystery Map. 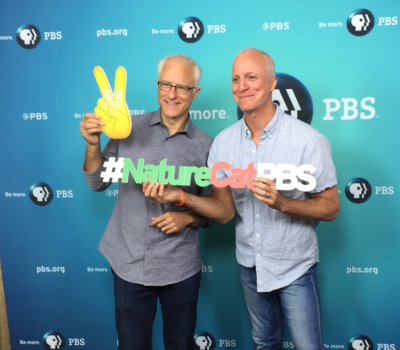 Spiffy’s current animated production Nature Cat premiered on PBS Kids November 25th, 2015. Nature Cat is designed to encourage kids to explore and develop connections with the natural world, starting in their own backyard. ©Spiffy Entertainment, LLC. All rights reserved.